There are few things more annoying than sitting outside on a deck only to be bitten repeatedly by mosquitoes. Not only do their bites itch, insects in the Culicidae family are known for spreading disease and illness. Fortunately, you can make mosquito control possible for clients as a pest management professional (PMP). Here are some ways to answer their questions. Mosquitoes need warm temperatures in order to breed, bite and reproduce. Depending on the breed, some mosquitoes hibernate during cold months while others hatch from eggs laid during warmer months that lie dormant through cold temperatures. All breeds typically begin to emerge once the weather hits 50 degrees. Since they thrive in warm weather, the hotter it becomes, the more the mosquito population grows. As soon as temperatures drop back below 50 degrees the entire insect population either dies or hibernates until the next spring. Mosquitoes need two things in order to thrive — warm temperatures and water. All breeds need water in order to lay their eggs. Some females lay eggs directly on the water’s surface while others lay eggs where water can eventually cover them. Backyards with a pond, fountain or any other uneven spot where water sits, are likely to have more mosquitoes than a yard without these features. Why do mosquitoes need to be exterminated? Everyone who has had a mosquito bite knows they can be itchy. Since they rely on blood for their nutrients, mosquitoes inject a small amount of poison to prevent your blood from clotting as they drink. Once they have finished their meal, the poison left behind causes itching, swelling and, in rare cases, infection in the skin. While unpleasant, most people don’t see the need to invest in mosquito control for a few bites. But there is a more pressing reason why mosquito bites are unhealthy. Aside from the itchy annoyance, mosquitoes are known disease carriers. Every year nearly 700 million people contract some form of mosquito-borne illness and more than 1 million people die. West Nile virus and Zika virus topped the headlines over the last few years as several people in the U.S. died from these illnesses after mosquito bites. Malaria, yellow fever and dengue fever continue to kill children and adults in developing nations that lack access to medical care. 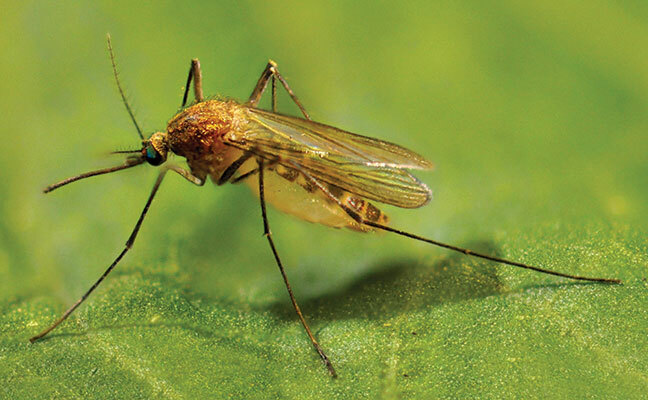 How can a PMP help control a yard’s mosquito population? Most mosquito control measures focus on the mosquitoes that are already there as well as eliminating the likelihood of having mosquitoes breed in that yard in the future. For instance, our experts at Pride Pest Control in New Jersey, examine the client’s yard for breeding grounds that may be contributing to a mosquito problem. They will also recommend ways to prevent female mosquitoes from laying eggs in low-lying, wet, or stagnant areas. Next, they will spray areas where mosquito larvae may live in order to prevent them from growing into adults. PMPs will also spray the yard, patio and exterior of a client’s home to kill adult mosquitoes. Any mosquito control measures that do not integrate all three stages in the bug’s life cycle will ultimately be ineffective.